Cheats.co is of course a website that focuses on providing you with cheats, codes, hints, tricks, glitches and more for next generation consoles (being the Wii U, Xbox One and Playstation 4). That said, we know (and believe ourselves) that when it comes to cheating in multiplayer games, that’s just not cool. As a result you will never find any content on Cheats.co that enables you to gain an unfair advantage against any other human players (like online glitches etc). The developers of Call of Duty: Ghosts obviously feel the same way and have taken it upon themselves to post the following Call of Duty Ghosts online code of conduct. It sets out exactly what sort of infractions/actions might lead to you getting punished or penalized, and then what sort of punishment you can expect. Check it out and make sure you stay on the right side of the law! Temporary Ban – A ban that can range from 48 hours to 2 weeks, depending on the severity of the infraction. Permanent Ban – Bans that are lasting and final. Minor Offense – An offense in which no quantifiable damage has been done to another user or the game community at large. Extreme Offense – An offense in which a player has caused detriment to other users or has organized large groups of users to commit additional offenses. Modding / Hacking – Any user who runs a modified version of game code or uses a modified game profile is subject to penalty. First Offense: User will be permanently banned from playing the game online, will have their stats reset, and will be blocked permanently from appearing in leaderboards. Console users who modify their hardware or profile data will also be reported to console manufacturers. PC users on Steam will be reported to the Steam enforcement team. 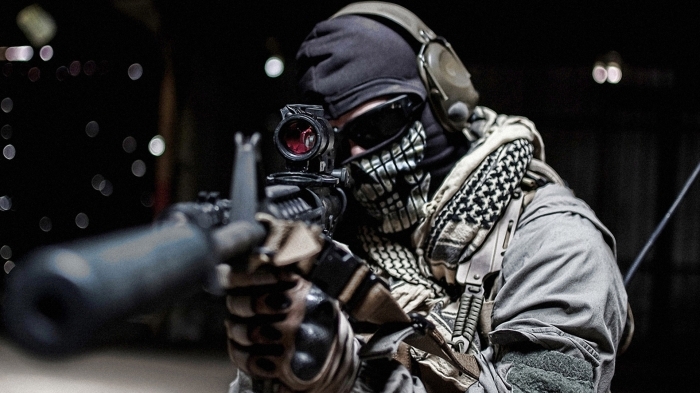 Pirated Content – Any user who illegally acquires Call of Duty: Ghosts content is subject to penalty. Console users in possession of illegally acquired content will also be reported to console manufacturers. Boosting – Any user who colludes with another user to exploit the game for the purpose of gaining XP, prestige, game score, weapon level, or in-game unlock is subject to penalty. First Offense: User will be temporarily banned from playing the game online, will have their stats reset,and will have their leaderboard entries deleted. Multiple Offenses: User will be temporarily banned from playing the game online, will have their stats reset, will have online split-screen privileges revoked, will be blocked permanently from appearing in leaderboards, and will lose the ability to use prestige token/unlocks. Glitching – Any user who abuses an exploit in game code or other established rule of play is subject to penalty. An example includes but is not limited to using a hole in the map geo to intentionally go outside of the map boundary. First Offense: User will be temporarily banned from playing the game online, will have their stats reset, and will have their leaderboard entries deleted. Multiple Offenses: User will be temporarily banned from playing the game online, will have their stats reset, will have online split-screen privileges revoked, and will be blocked permanently from appearing in leaderboards. Offensive Behavior – Any user who is found to use aggressive, offensive, derogatory or racially charged language is subject to penalty. First Offense: User will be temporarily banned from playing the game online.